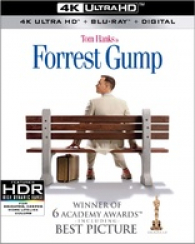 Paramount Preps 'Forrest Gump' for 4K Ultra HD Blu-ray - UPDATE: Specs and Features Detailed. Robert Zemeckis' Academy Award-winning film is in the works for 4K Blu-ray. According to a recent pre-order listing on Best Buy, Paramount is prepping Forrest Gump for 4K Ultra HD Blu-ray on June 12. UPDATE: The release has now been fully detailed. Tom Hanks gives an astonishing performance as Forrest, an everyman whose simple innocence comes to embody a generation. Alongside his mamma (Sally Field), his best friend Bubba (Mykelti Williamson), and his favorite girl Jenny (Robin Wright), Forrest has a ringside seat for the most memorable events of the second half of the 20th century. 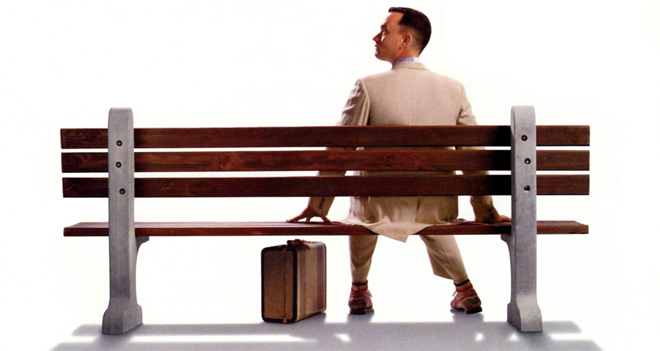 Winner of six Academy Awards®, including Best Picture, Best Director (Robert Zemeckis), and Best Actor (Tom Hanks), Forrest Gump remains one of the great movie triumphs of all time. Note: All bonus features aside from the commentaries are on the standard Blu-ray. Suggested list price for the Ultra HD/Blu-ray/Digital Copy combo pack is $27.99. You can find the latest specs for Forrest Gump linked from our 4K Release Schedule, where it is indexed under June 12.